Take a breath in from the top of our head and bring that breath down through your body all the way down your spine and down your legs and down into the core of Gaia. We are now going to wrap ourselves around that Core like a long tail. Take a long moment now to connect with these three aspects of your SELF. As you connect with your planetary expression of Gaia, FEEL all the fourth/fifth dimensional elements, elementals, Devas, Angles and Elohim who service and protect Mother Earth, your planetary self, Gaia. FEEL these third, fourth and fifth dimensional beings within Gaia’s Core. FEEL the Unity Consciousness you share with All Life on Earth. FEEL how all these expressions are joining in Gaia’s core. As we all join in Gaia’s core, we take a moment to go into your own core. You might want to just allow your right hand to just rise up and touch the area of the body that is your core. Don’t try to use your brain. Just allow your Multidimensional SELF to move your hand. Different people have different paths, and we all have different centers. The most wonderful thing about Gaia is that She is such an amazingly diverse planet, with so many different kinds of people and so many wonderful paths of Ascension. Our pleasure is to be able to share our personal expression and to contribute it to the ONE. As we fill that area that we have touched with our right hand we go into our physical bodies and into our inner womb where our new SELF is gestating. This gestating expression of YOU is very pure and completely innocent. Therefore, this YOU needs your constant protection. You know this new self because that’s the SELF that you really are. You likely were this self when you were a small children, but you had to close that part of you down. Now you feel strong enough to protect this New YOU. You may even feel strong enough to allow this YOU to begin to be revealed in your daily life. Often, this is the part of you that you never forgot but could not be. This is the part of you that was always connected to your true, Multidimensional SELF. As you feel this infinite component of your self, again visualize that you are within Gaia. You are among those who have chosen to be guardians of certain parts of Gaia’s planetary body. Tune into the area that you feel, you believe, is your area over which you volunteered to be a guardian. That area can be a large, it can be a small area, it can be a personal area or it can be even in Gaia’s aura or on Her moon. When you feel your transforming self within that area, there are NO limitations! Now focus your vision into the core of Gaia. How do you perceive that Core? What do you hear within that Core? How do you feel while being within that Core? Allow yourself to slowly begin to rise up from Gaia’s core. 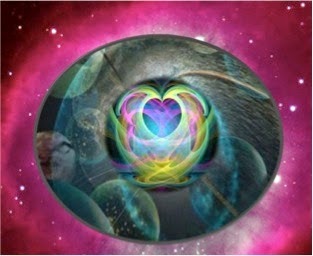 As you enter Gaia’s surface, you find yourself at the place on the planet that your physical body inhabits in this NOW. From your position on the surface, deeply connect with YOUR Core. From your core, deeply connect with Gaia’s Core. Feel how your core and Gaia’s Core are expanding in all different directions. FEEL how all the energy you are sending is intermingling into an “Energetic Pathway to New Earth. KNOW that YOU are creating this Pathway with your consciousness. The animals and the plants are ahead of humanity because humans have lived as individuals. This individuality has made you feel separate. Humans gained a great deal of power, but you have a lot of remembering to do. Allow the remembrance of WHO you really are to flow through you. Allow the WHY you chose to come NOW to flow into you. Allow the WHAT to be revealed to you during your daily life. Allow the WHERE to intermingle with the NOW. · If you can’t get the answer, yet, allow the question to float around you. · When you make one decision, it changes everything in your aura. · When your aura changes, all the possible realities in all the possible configurations change. There is only NOW and only HERE! we are grateful and active..